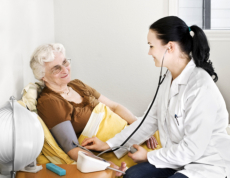 Licensed Nurses are included in the team of professionals housed by Americans Choice HealthCare Services. Registered Nurses are responsible for assessing the medical condition for its progress since the start of treatment, planning with the client for an appropriate plan of care, and reporting and documenting any relevant information about the condition and the efficacy of the treatment to the other members of the health care team. Referrals and Linkages to Personal Doctors, Paramedical Staff, etc. If you have further questions about our skilled nursing services, please do not hesitate to contact us at 513-791-3810 or schedule an appointment with us.